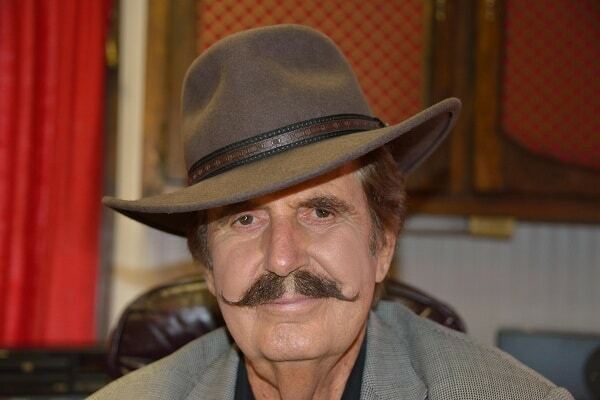 Rick Hall, the legendary producer who for decades helmed FAME Studios in Muscle Shoals, Alabama, died Tuesday at age 85. Hall passed away at his home in Muscle Shoals, not far from his studio. He had battled prostate cancer in recent months, his wife, Linda Kay Hall, said. Hall, who was born in Mississippi to sharecropper parents but grew up in northwest Alabama, produced such iconic R&B acts as Wilson Pickett, Aretha Franklin, Otis Redding, Arthur Alexander and Etta James, among myriad others. He is one of the cornerstones of American popular music, and what he managed to accomplish in a small Alabama town ranks as one of the more improbable scenarios in pop music history. He had the reputation for being a draconian taskmaster, an irascible sort who often pushed his musicians to the brink. But, as Keith Richards once noted, it takes someone with that kind of drive to achieve such monumental results. “My theory has always been if you work eight hours a day and I work 16, and we’ve got the same mental capacity, then I’m going to eat your lunch in a year’s time,” Hall told American Songwriter in 2015. Hall was the primary subject of the 2013 documentary Muscle Shoals, which chronicled how the Shoals region became a hotbed for soul music and rock and roll in the ‘60s and ‘70s. The film reignited interest in the region’s musical history. A country music enthusiast who played country-style fiddle in his youth, Hall got his start as a songwriter in the late ‘50s. He had songs recorded by George Jones, Brenda Lee and Roy Orbison. Hall’s first successful cut as a producer was Arthur Alexander’s “You Better Move On,” recorded in 1961 at the bare-bones studio Hall had opened with friend and colleague Billy Sherrill. After splitting with Sherrill and another business partner, Tom Stafford, Hall used the money he made from the Alexander song to build FAME Studios on Avalon Avenue in Muscle Shoals. “I made a little money, so I built a recording studio and decided that maybe my nature [leans toward] black music,” he said. All of the artists Hall produced early in his career were black. These sessions occurred when race relations were at a fever pitch, not just in the South, but across the United States. In Alabama, Governor George Wallace was stoking racial fears with his staunch segregationist platform, culminating with his “Stand In The Schoolhouse Door” at the University of Alabama in 1963. Hall said his studio was a safe haven where blacks and whites could make music together at an especially tense time. In 1966, Hall helped license Percy Sledge’s “When A Man Loves A Woman,” which had been recorded in Norala Studios in nearby Sheffield, Alabama, to Atlantic Records. This led to a partnership between Atlantic and FAME Studios, whereby Hall would go on to produce a bevy of Atlantic artists in Muscle Shoals. But the partnership was terminated after Hall got into a fistfight with Aretha Franklin’s husband in 1967. Hall is often associated with the Swampers, one of several house bands the producer used at FAME Studios in the ’60s. The group, which was famously name-checked in Lynyrd Skynyrd’s “Sweet Home Alabama,” would eventually splinter from Hall and go on to open Muscle Shoals Sound Studios in Sheffield, in partnership with Jerry Wexler of Atlantic Records. The split was acrimonious, though the two parties would reconcile in later years. When asked about the secret of his success, Hall said it wasn’t because he was a “genius,” as some claimed. A television series about Hall and FAME Studios is currently in development, his publicist said. In 2014, Hall was awarded the lifetime achievement award at the Grammys. He is survived by his wife Linda, sons Rick Jr., Mark and Rodney, as well as his five grandchildren, Rebecca, Mary Elizabeth, Jackson, Sara and Sam. This article has been expanded from its original version.